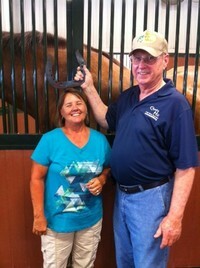 This photo is of my wife, MaryAnn, and me with our horses, Country (mine) and Destiny. We enjoy riding them on Missouri trails, including trails we have made on our own 100 acre ranch near Benton City, Missouri. Toby Keith sings the song, "I Should Have Been a Cowboy". Well, some of you are cowboys and cowgirls, and some of you have always wanted to be cowboys. Maybe you have that independent, all-American spirit within you like the American Cowboy. If so, this cowboy church may be the church for you! That's the spirit those of us who have started this new Cowboy Church have. We're not afraid to break new ground because we have sensed that "the God who owns the cattle on a thousand hills" is out there ahead of us, breaking the trail. Some years ago, when I was pastoring a small country church in Bend, Oregon, I heard about a Cowboy Church that was meeting in a horse arena in Redmond, Oregon. The idea intrigued me and the thought never left me after that, that someday I wanted to be a part of such a unique church ministry. Eventually, in God's perfect timing, God opened the door for us to start this Cowboy Church. I have made many great Christian friends as I have served as a Pastor throughout Central Missouri, and some of them are real cowboys and some are horse lovers of various kinds. But we all share a common vision. We wanted to see others come to know what we know about our Lord and Savior, Jesus Christ. 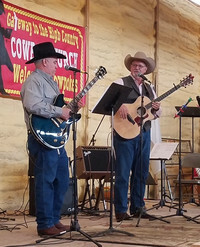 So, if you are hungry to know the Lord, if you would like to meet some genuinely nice folks, if you like good country music, and if you think horses are great, then come out to the Gateway to the High Country Cowboy Church every Sunday at 11 am or Monday at 7 pm for our worship services. Our church is located 20589 Hwy B in Randolph County - that is right at the intersection of Hwy 63 and Hwy B at Clark, Missouri. We are 20 minutes north of Columbia and 10 minutes south of Moberly. We guarantee you’ll have a great time and that the message you will hear will be straight from the Word of God. And then plan to stick around for the cowboy refreshments afterwards. We’d like to get to know you before you saddle-up and ride off into the sunset. Jesus is the Gateway to the High Country. 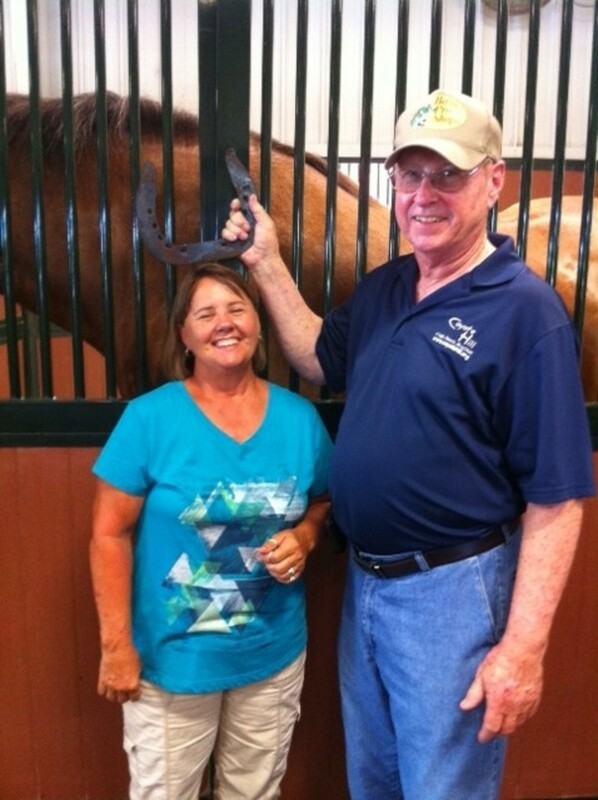 Our great detail Cowboy, Donal Knipp, with his wife, Betty. Donal welcomes everyone to Cowboy Church every Monday night. He and Betty do a host of other things to numerous to mention for the Church. 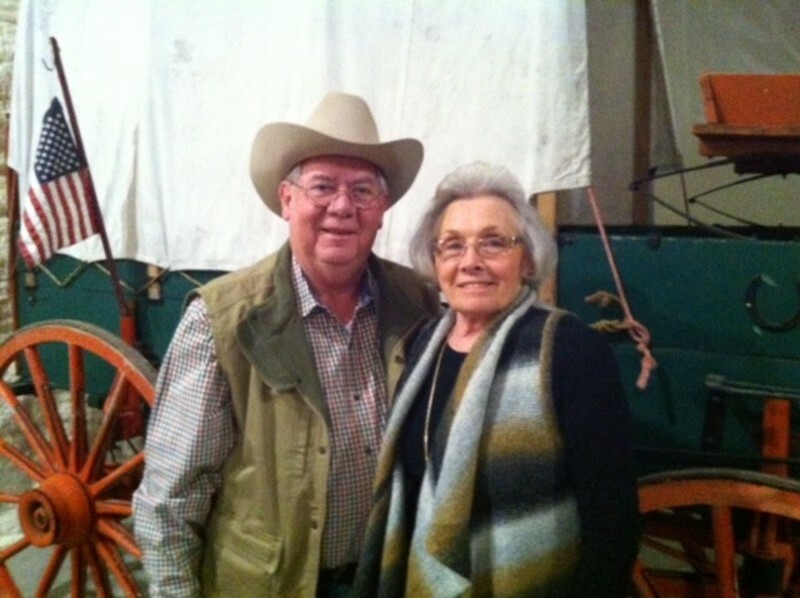 They were among the founding members of the Gateway to the High Country Cowboy Church. They live in Auxvasse, Missouri. Donal was on the International Board for the Lions Club and He and Betty traveled the world recently serving the Lions Club International. They are both still very active in this great civic organization.